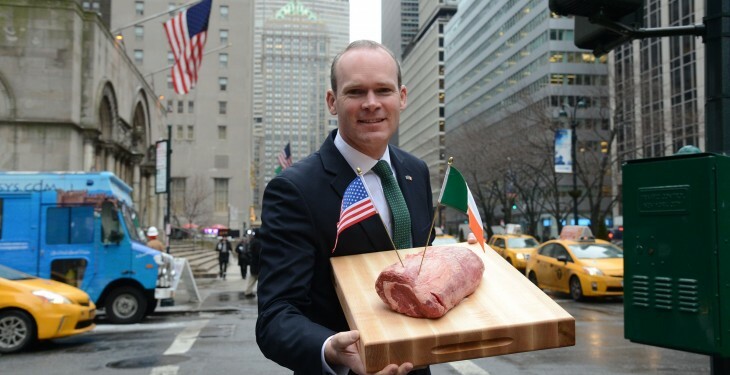 Last February, Minister Coveney announced the opening of the American beef market and predicted that exports to the US would be worth between €50m and €100m. In reality, beef exports between Ireland and the US at the end of December had increased to an estimated 1,800t, which has a value of between €11.5m and €12m. In the Dail this week, in response to stern questioning by Fianna Fail’s Eamon O Cuiv, the Minister defended his record on the issue. “I am not sure we got it wrong at all. 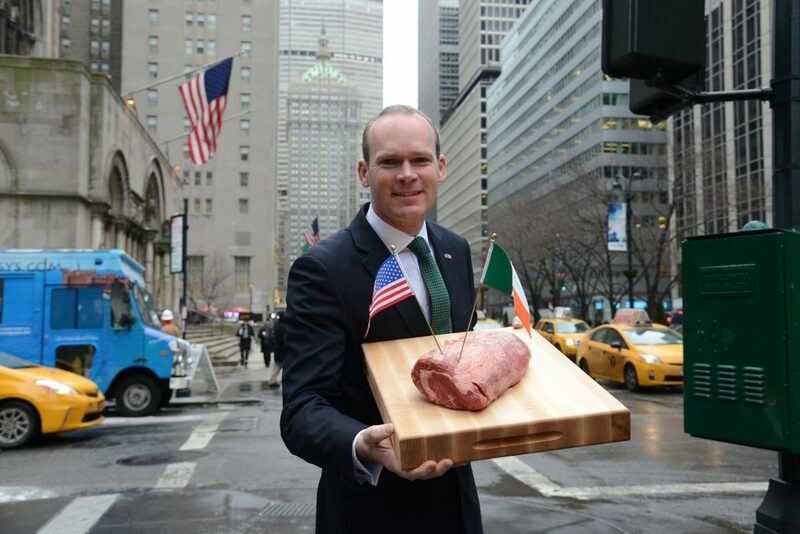 Ireland received a major reputational boost for its beef sector in 2015 as the first EU Member State to gain access to the US market which was opened to Irish beef exports from January 2015. “Ireland remains the only EU Member State to have secured this access, and six plants have been approved to export. “As with any new market, it takes time to build a reputational brand and a customer base, and the real time to assess its value is when these are bedded down. “This value is still being bedded down,” he stressed. The Minister said the totals exported to date represent an exceptionally strong start to this trade, particularly he said considering the first exports were only made in March 2015 and some of the plants were only approved for export as recently as September. In addition, the Minister said the trade is currently confined to the market for intact cuts, as Ireland currently awaits approval for beef exports intended for grinding; in other words, manufactured beef. “When I predicted volumes and value for the US market, we thought we would get manufactured beef in at the same time as prime cuts but that did not happen, which is a part explanation for the volume. “Prime cuts comprise a much higher value but much lower volume. “We will get manufactured beef into the US shortly and there will be a significant increase in volume,” he said. Another factor the Minister said is that US beef prices have fallen back from the peaks recorded in early 2015, which makes beef imports less competitive. “The relatively high prices available for beef in Europe in 2015, particularly in the UK, meant US buyers may have been priced out of the market, as Irish exporters chose to send product to more valuable markets in the UK and on the continent. “The market dictates where the beef goes. My job is to open these markets in order that the options are there for the industry to sell into the highest price market,” he said. Minister Coveney stressed that the US is still an exciting market. He said it is the ‘largest’ beef market in the world and forecast that Ireland will sell a ‘significant volume’ of beef there but, also warned that it depends on the year and the price.